Are you currently paying to subscribe to any news organization content intended for consuming on smartphones and/or tablets? The statistic shows the penetration rate of paid mobile news usage among smartphone users in the United States in the first quarter of 2014, by age. 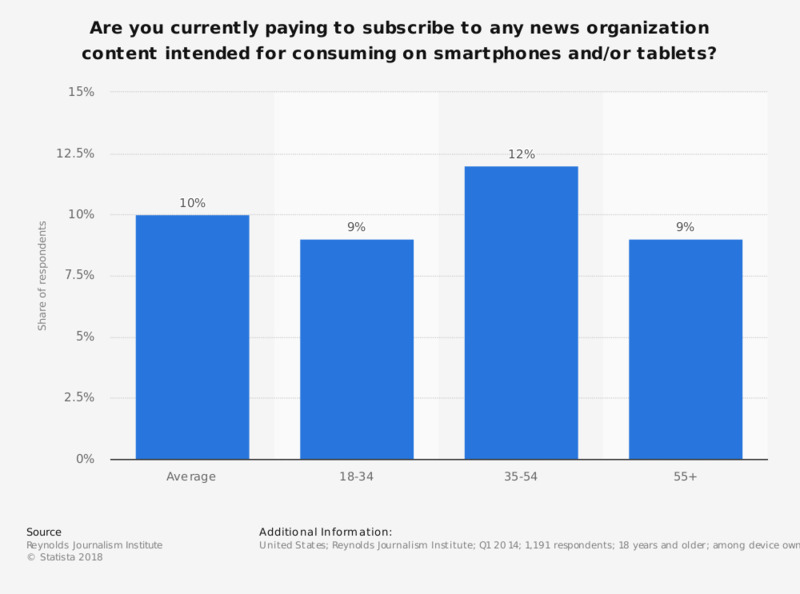 During a survey, nine percent of smartphone users aged 18 to 34 stated they were at the time of survey paying to subscribe to a news organization's content intended for consuming on smartphones. How much time do you spend consuming news content on your smartphone/tablet in a typical day?